Travellers must travel through all-included preplanned/booked package tours. Independent travel is not permitted in Bhutan. 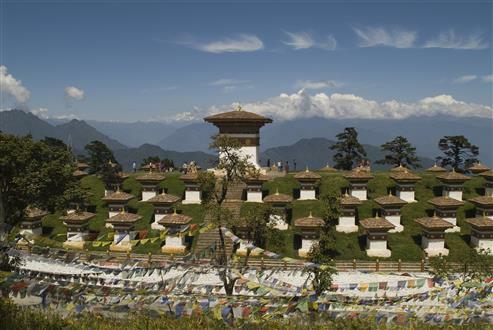 Many visitors come to Bhutan to witness religious festivals held annually in Dzongs throughout the country. The most popular are those held in Thimpu, Paro & Bumthang. The Dzongs come to life with colour, music & dancing as valley dwellers and towns folk join together to exercise evil spirits and rejoice in a new harvest. Rare masked & sword dances and other rituals are performed in the Dzong,s courtyards & temples. Most of the dances date back to the middle ages and are only performed once or twice each year. The road from Bagdogara (West Bengal) enters Bhutan at Phuntsholing, which is 179 Km from Thimphu. Bhutan has four seasons. Monsoon June and August (8° and 21°C). Temperatures drop dramatically with increases in altitude. Days are pleasant (average 10°C) with clear skies and sunshine. Nights are cold particularly in winter.Generally, October, November and April to mid- June are the best times to visit, rainfall is low and temperatures pleasant. Lightweight cottons in the foothills, also linens and waterproof gear, light sweaters and jackets for the evenings. Upland areas: woollens for evenings, particularly during the winter months. Bhutan is six hours ahead of GMT. Power supply throughout is 220 volts. 1 Ngultrum (NU) = 100 chetrum (Ch). The Ngultrum is pegged to the Indian Rupee (which is also accepted as legal tender). US Dollars are also widely accepted. Compulsory vaccinations: Yellow fever certificate if arriving from infected areas. Recommended immunizations: hepatitis A, hepatitis B, malaria, meningitis, polio, TB, tetanus, typhoid. Health risks: Malaria exist all the year in the southern districts. 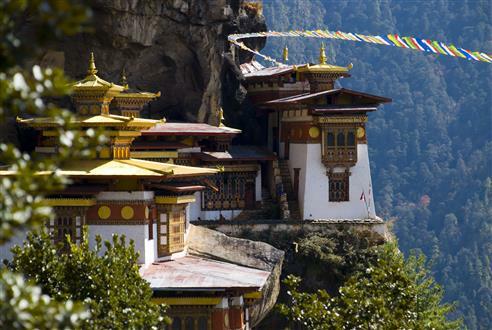 IMPORTANT: All foreign nationals require visa for Bhutan. Before departure Visa Clearance from Thimphu must be obtained before departing for Bhutan. 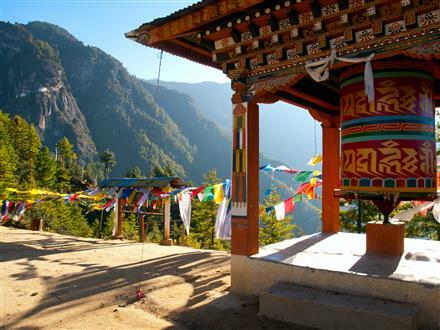 A completed Visa Form must be returned to our office at least 65 days prior to arrival in Bhutan (earlier if travelling during festival dates). Holidays must be paid in full before the Visa Clearance can be processed. Once processed a Visa Clearance Approval will be forwarded to you before departure. A visa stamp will be issued at the entry point for the duration of the stay.